Sauté carrots and onions in butter over medium heat until soft, but not brown. 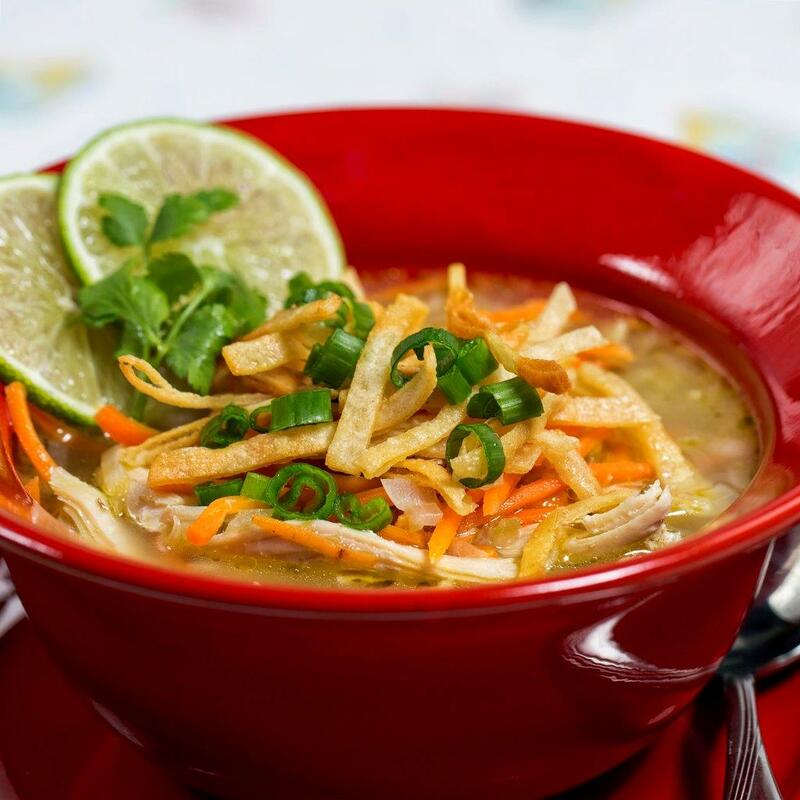 Add chicken broth, shredded chicken breast and Ring of Fire ® Tomatillo & Roasted Garlic Hot Sauce and stir. Cover and simmer for 15 minutes. Take a handful of tortilla chips and lightly crush chips into the soup bowl. Ladle soup on top of tortilla chips. Garnish with chopped cilantro, green onion and tomato. Makes 2 servings. Sauté carrots and onions in butter over medium heat until soft, but not brown. Add chicken broth, shredded chicken breast and Ring of Fire ® Tomatillo & Roasted Garlic Hot Sauce and stir. Cover and simmer for 15 minutes. Take a handful of tortilla chips and lightly crush chips into the soup bowl. Ladle soup on top of tortilla chips. Garnish with chopped cilantro, green onion and tomato.